Claes Oldenburg’s Profile Airflow 1969 was the first of numerous innovative multiples (three-dimensional sculptural editions) the artist created in collaboration with Gemini GEL in the early 1970s. 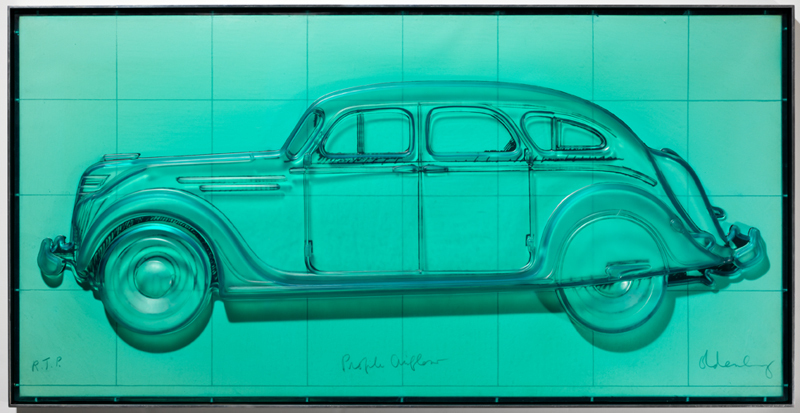 Inspired by original drawings of the iconic 1936 Chrysler Airflow, Oldenburg created a lithograph over which sits a translucent plastic relief of the car. 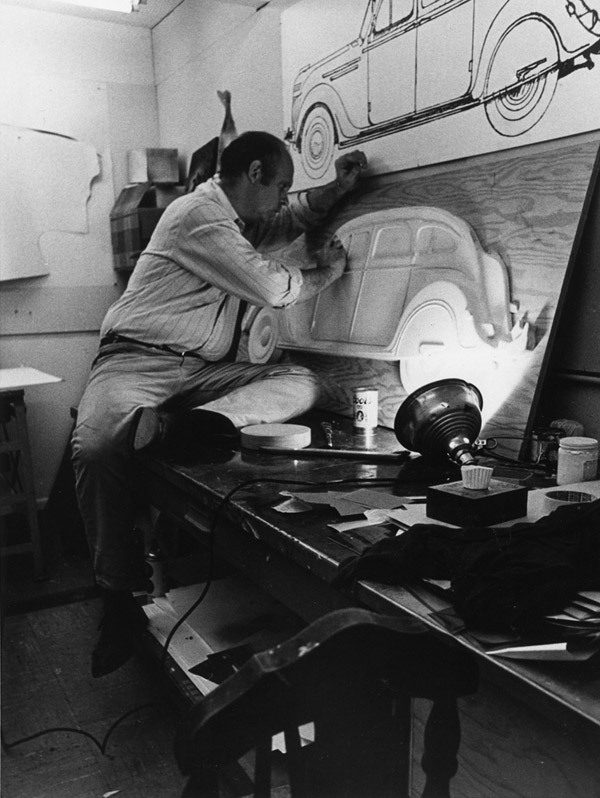 Achieving Oldenburg’s desire for a relief that was ‘transparent like a swimming pool, but of a consistency like flesh’ was no easy task and required considerable research and experimentation. Complex to produce, the work has also proved complex and time-consuming to conserve, as today’s post reveals. Objects Conservator Sarah Mchugh shares with us the painstaking process of treating Profile Airflow, which took two years to complete. 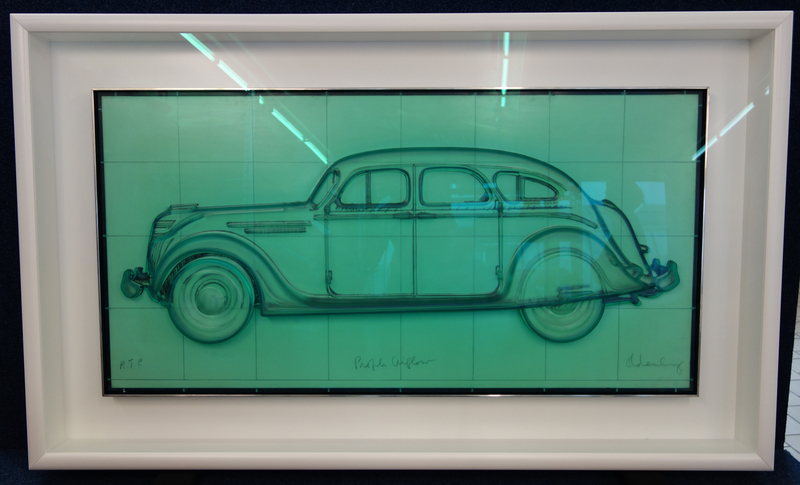 The work consists of a lithograph on paper stretched onto a wooden strainer, over the front of which sits a moulded relief in elastomeric (rubbery), translucent green polyurethane. It has two main problems. 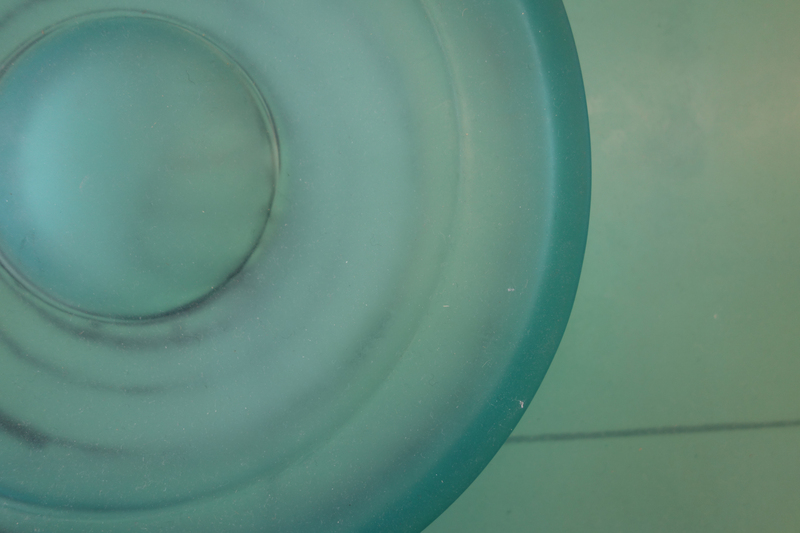 Firstly, the polyurethane is attached to the strainer by screws that are close to the edge and it has torn at these points due to the pull of its own weight, meaning the work couldn’t hang vertically as it’s supposed to. Secondly, the polyurethane is deteriorating and the surface has become extremely sticky, with a layer of dust consequently adhering to it. Plastic is often thought to last forever but from a conservation perspective it actually doesn’t last long at all. Plastics are also quite difficult to clean as components of the plastic may be dissolved in different solvents, causing further problems. I began by examining and documenting the work, and undertaking research to find the best method of repair. One technique I used was to test the polymer using FTIR (Fourier Transform Infrared Spectroscopy) to confirm its composition. 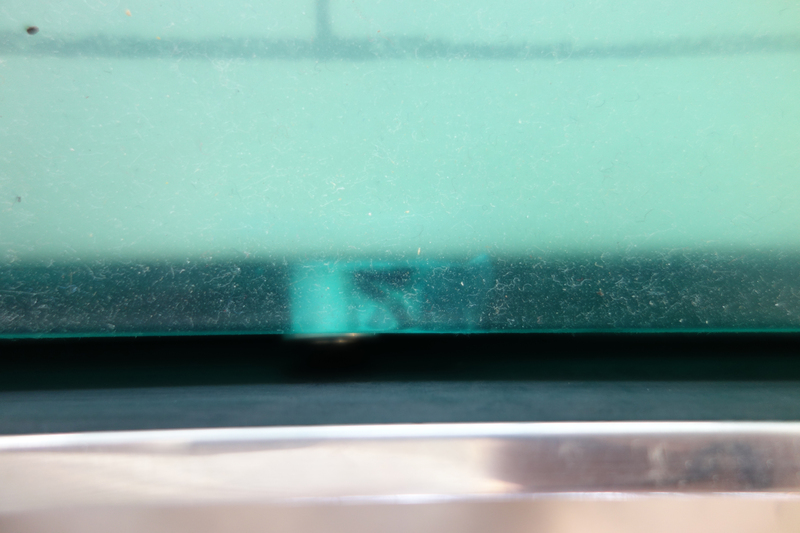 I found a private conservator in the U.S. who had cleaned another Profile Airflow (the work was produced in an edition of 75) with the same sticky surface problem. She had undertaken extensive research and testing and very generously shared her results with me. I cleaned the work with an isopropanol solution, which removed the dust, but the surface remained sticky. To prevent dust adhering again, it was decided in consultation with Senior Curator Jane Kinsman to commission a custom frame with a Perspex front. To repair and re-secure the polyurethane to the strainer I developed a method that would require the least amount of permanent change to the object and be least visually obtrusive. I sourced a clear elastomeric polyurethane and made a sample which I artificially aged with UV light to give an indication of how long it would last. Finding that it was acceptable I then used the adhesive to repair tears in the polyurethane and to attach large tabs of Mylar™ (polyester film) to the underside of the polyurethane that wraps around the strainer. The tabs are now taking the weight of the relief. As a result the original look of the work as the artist intended has been restored, and it is now displayable – the surface isn’t obscured by a layer of dust and it can hang vertically on the wall. It looks gorgeous! We can’t wait to see the refreshed Profile Airflow in the new displays of International Art opening at the National Gallery of Australia in December. 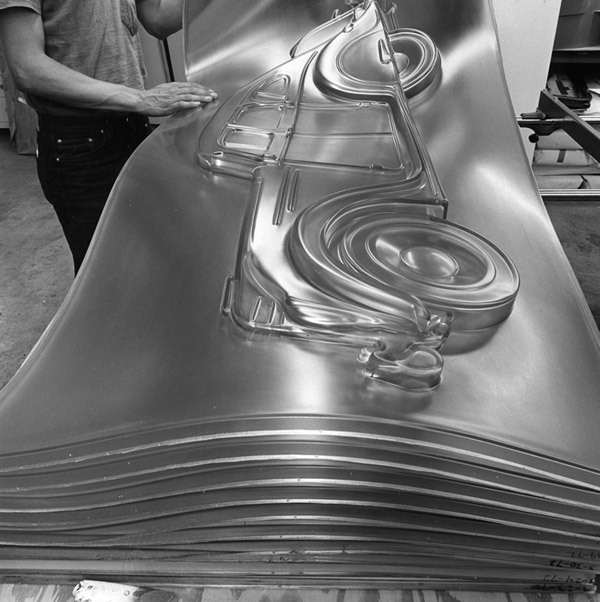 Visit the website for photographs of this and other Oldenburg multiples in production. In 2010 Oldenburg’s Ice bag – scale B also underwent conservation treatment: read more. Claes Oldenburg, in David Platzker, Claes Oldenburg: Multiples in retrospect 1964-1990, New York: Rizzoli, 1991, p.84. Read Emilie Owens’ discussion of Profile Airflow in the newly released publication Workshop: The Kenneth Tyler Collection, Canberra: National Gallery of Australia, 2015, p.171.